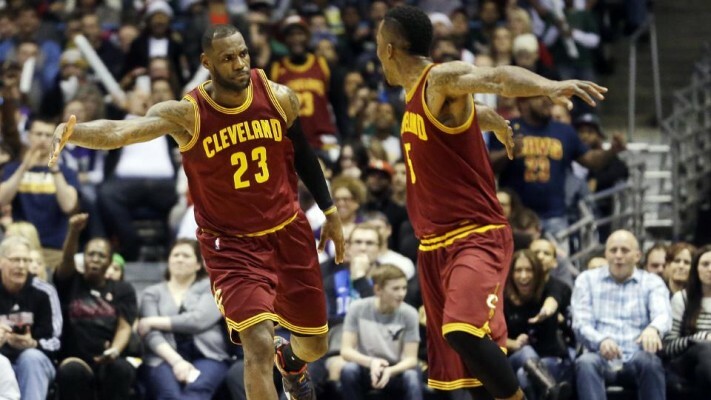 Although Cleveland Cavaliers star forward LeBron James is not getting much attention in regards to the 2014-15 NBA MVP honor, his teammate J.R. Smith believes James should be the frontrunner to win his fifth NBA MVP award. 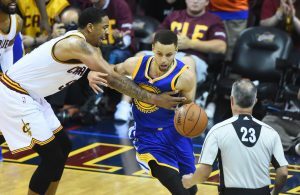 What about his views on star playoff-bound candidates in Golden State Warriors point guard Stephen Curry and Houston Rockets shooting guard James Harden for the MVP? 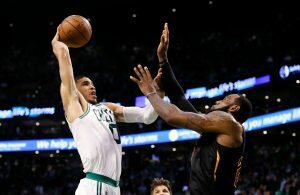 According to Smith, the award should already be set in stone for James to win this season and beyond. On one hand, Smith is absolutely correct. The numbers that LeBron puts up year in and year out would propel any MVP candidate to the top. This season, James is averaging 25.3 points, 7.4 assists, and 6.0 rebounds per game, all while shooting 48.8% from the field and 35.4% from three-point range. However, there’s one slight qualm: James is competing against himself. To give the award to James this season after he had put up slightly better numbers last season (27.1 points, 6.3 assists, and 6.9 rebounds) is not fair in the voters’ eyes. We call this voter fatigue. So when the James Hardens and Steph Currys of the world all of a sudden pop up out of nowhere, voters see it as a refreshing opportunity to give another player a chance to hoist the MVP trophy at the end of the season. Keep in mind the Cavaliers have gone from a 33-win team last season to a 52-win team so far this season; while the Miami Heat (James’ former team) have gone from former NBA Finals contenders to a team that is about to be knocked out of the playoff hunt. The Cavs will conclude their regular season at Quicken Loans Arena when they take on the Washington Wizards (46-34), with tipoff scheduled shortly after 8:00 pm ET on Wednesday night.